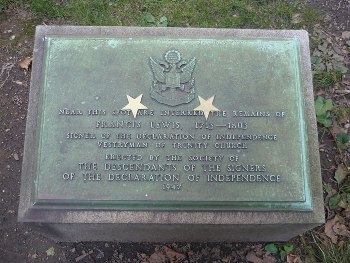 In 1775, Lewis was elected to the Continental Congress. He was not allowed to vote for independence on July 2, 1776 due to his state's reluctance to break from England, but he did sign the Declaration on August 2nd. Later that month, British General William Howe invaded Long Island. Lewis' home was ransacked and burned and his wife captured. She remained in British custody for some time and was so poorly treated that she became severely ill. A prisoner exchange could not be conducted for some time because the Americans did not have a female prisoner of equal rank to exchange, but George Washington was able to finally arrange her release. Mrs. Lewis never recovered from her illness and died in 1779. Most of Francis Lewis' wealth was destroyed or spent during the war. 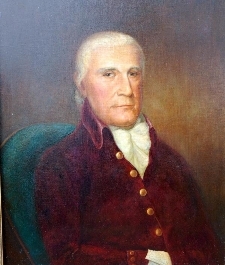 He continued to serve in the Continental Congress as a delegate from New York until 1779 when he was appointed to oversee the Board of Admiralty. He signed the Articles of Confederation, America's first governing document, in 1778. In his old age, Lewis became a vestryman at Trinity Church in New York City, where he was buried when he died at the age of 90 on December 30, 1803.